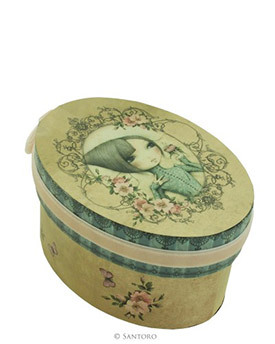 A truly unique accessory capturing the elegance of the Mirabelle collection. 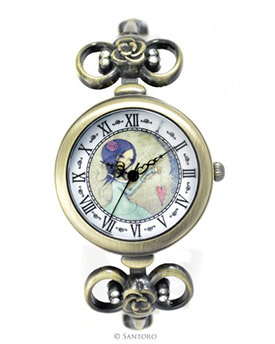 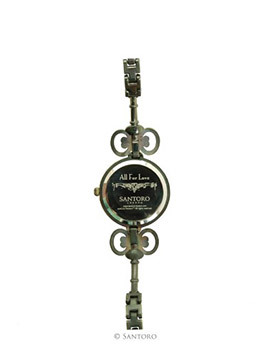 This fully functional adults’ watch features the charming All For Love artwork, a beautifully decorated bracelet design with easy to resize jewellery links, and an antique gold finish with crystal highlights. 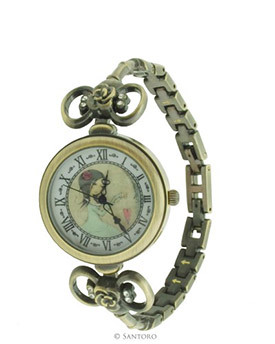 Note: this watch should be kept away from perfumes, hairsprays and detergents. 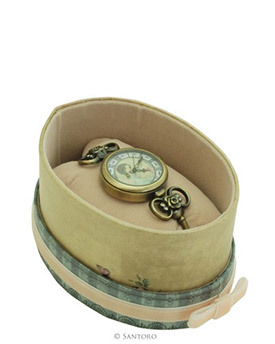 Each watch comes packaged in a lovely oval keepsake box with printed design, velvet ribbon and velvet cushion and interior lining.